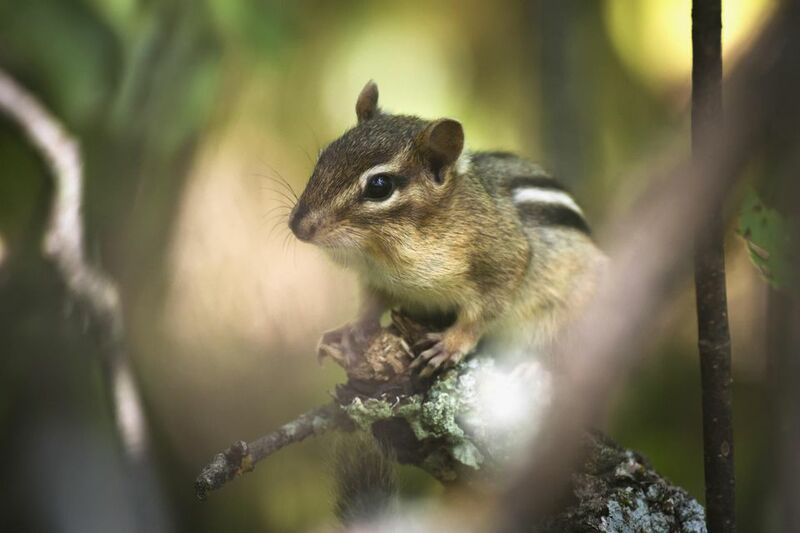 There are many ways to control chipmunks, including taking steps for prevention, trapping and releasing, and using homemade chipmunk repellents. Because chipmunks are rodents, many of the same methods used to control chipmunks are similar to those used in rats, mice, and squirrels. But the most humane, and often the most effective, methods are prevention and exclusion. Place L-shaped footers around the home's foundation as well as any foundations, sidewalks, porches, and retaining walls to keep chipmunks from burrowing. Remove wood or rock piles and trim back plantings; these provide cover or food for chipmunks. Surround the yard or home with a plant-free gravel border. Prevent chipmunks from digging up flower bulbs by planting the bulbs beneath a wire or plastic screen ground cover or in bulb cages. Mesh of 1 x 1 inch is large enough to allow plants to sprout but small enough to deter chipmunk from digging. Plant only bulbs to which wildlife is not attracted, such as daffodils (Narcissus) or Allium. Place 1/4-inch mesh hardware cloth around gardens and flowers. Keep firewood and similar piles away from the home to keep chipmunks from burrowing beneath the pile (and possibly under the home’s foundation). Do not allow trees, shrubs, or other plantings to run continuously from wooded areas to the home, as this will draw chipmunks in. Do not keep food items outdoors, including pet foods and bird seed, unless it is placed in rodent-proof containers. Choose a small trap (approximately 10 to 20 inches long) with small wire mesh so the chipmunk cannot escape. Place the trap in areas of known chipmunk activity, including traffic paths and near burrows (if you can find them). Locations undercover are better than exposed areas. Bait the trap so that chipmunks can't retrieve it from outside the trap. Applying peanut butter directly to the trap's trigger plate often works well. Check the trap often, and relocate the animal as soon as it is trapped. Release it in a suitable habitat at least five miles from your home, or as specified by local law. Regularly clean up spilled seed. Choose seed to which chipmunks (and squirrels) are not attracted, such as thistle. Place bird feeders at least 15 to 30 feet away from any structure. Follow standard steps to keeping squirrels away from bird feeders.